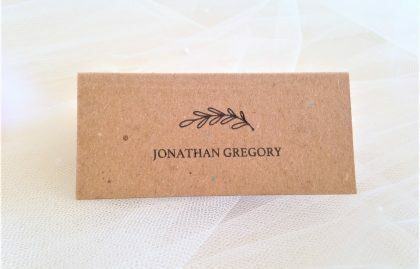 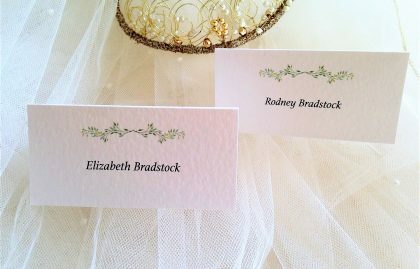 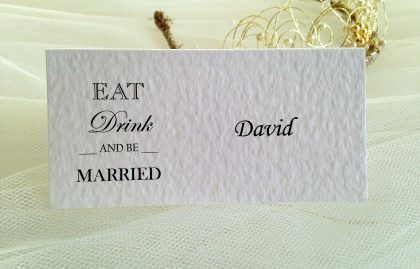 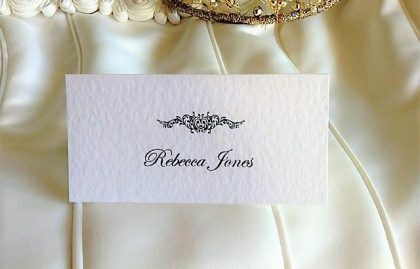 Place cards are placed at each place setting to ensure guests sit in the designated seats. 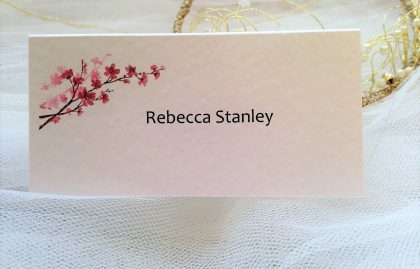 They are only required if you have assigned guests to specific seats. 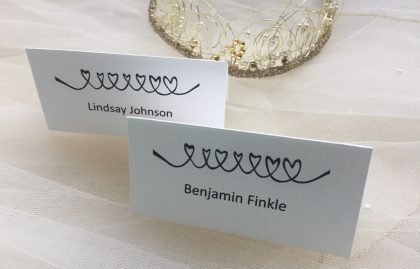 This will help them find their seat quickly and easily and you can include a few details such as whether they are vegetarian or gluten free, this may help the waiting staff. 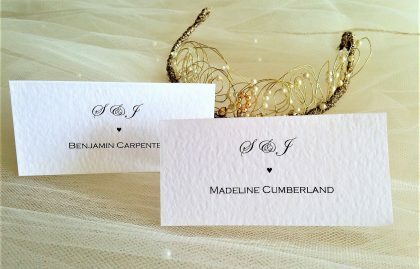 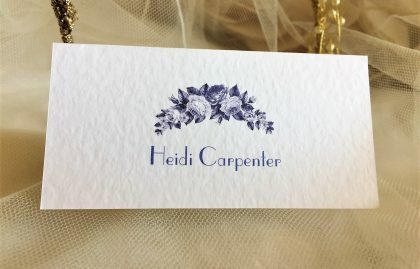 So that your guests know where to sit during the wedding breakfast, a place card should be positioned, as a guide, near each plate on every table. 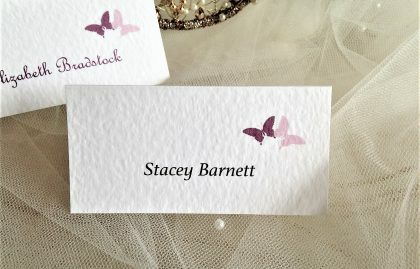 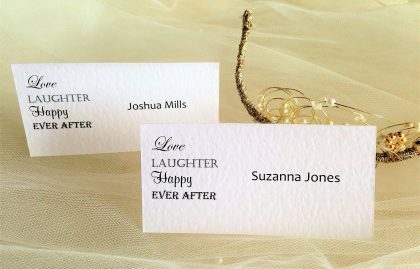 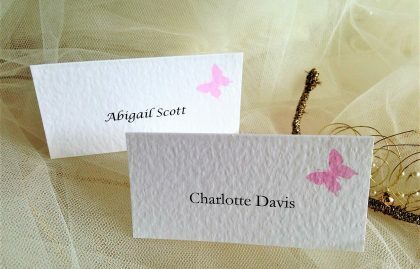 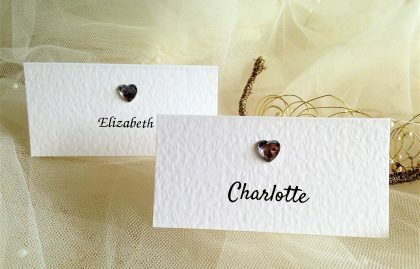 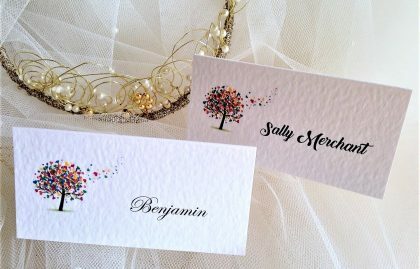 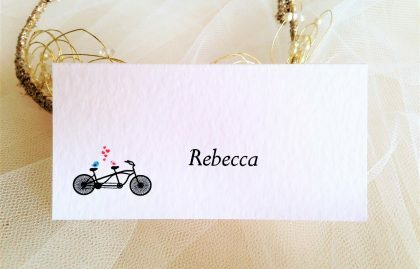 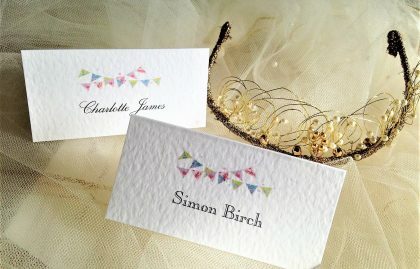 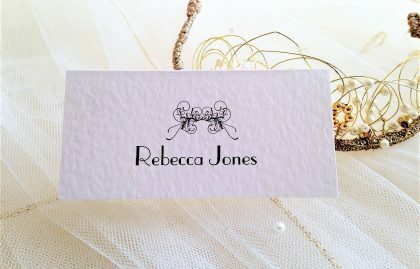 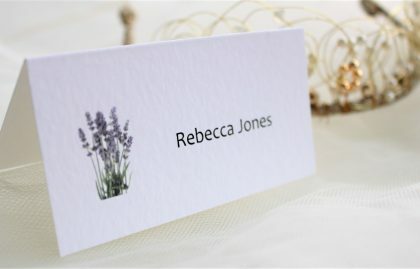 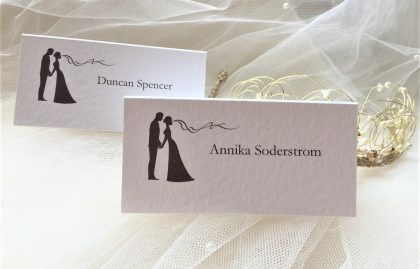 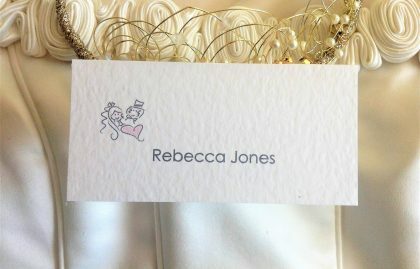 Place cards can be ordered in advance and can be personalised to match the colour scheme. 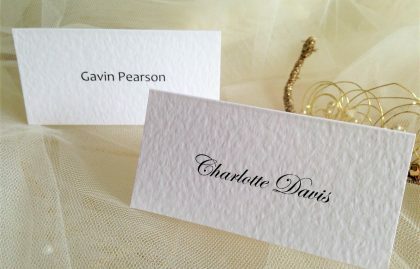 We can also print the details of the meal choices on the reverse of each place card (10p extra) for guests who have selected their meal in advance.